We’ve just passed the 10,000 product mark on our RobotCoupeMachines.co.uk site! 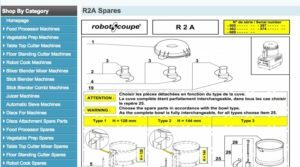 RobotCoupeMachines.co.uk – literally loaded with Robot Coupe machines and parts. If there’s a product you can’t find, just call us or send a message and we’ll locate the information for you. We’re helpful like that. 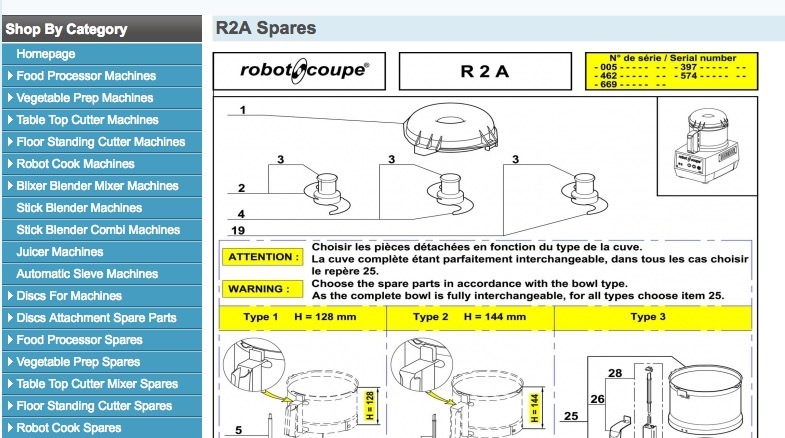 You can also find drawings and diagrams on the site to help locate the correct part number. Again, if there is a specific diagram you need, give us a call and we’ll help find the one you need. Anyway, writing blogs isn’t going to get the rest of the products listed so we’d better crack on before the boss comes back!